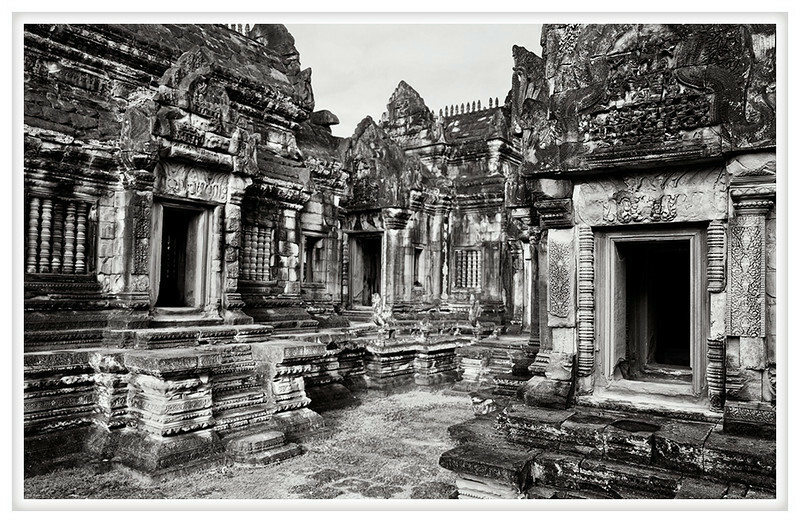 Banteay Samre is one of the most complete and intact temples in the Angkor complex. The jungle was thoroughly removed from the site and thus it stands denuded of nature. Built in the 12th century and dedicated to Vishnu the most unique feature of this temple is the now dry internal moat. Carvings of lotus buds and blossoms adorn the surrounding stones and it must have been a magnificent sight when it was filled. I can imagine the moon and the stars reflected in the water's surface while the breezes would cause reflected light to flicker across the abundant carvings.